Over the years I have built more than my fair share of pc’s both for business applications and personal use. In that time I have found more than a few ways to save every single penny possible. Because let’s face it, who wants to waste money??? The basic components necessary for building your own rig. Proper Planning can save you tons. Before you can price out your next project, you need to know the purpose. Certain activities will require specific hardware, other activities will allow for more leeway in hardware selection. Business systems typically have low end hardware requirements and don’t need discrete graphics. This is by far the cheapest system to build and consequently we won’t go into too much detail. Media Systems have the second lowest hardware requirements, with the inclusion of graphics in the processor these days, you could easily get away with no graphics card on a media center build. Search engines are your friends. Not only do they provide the ability to solve stupid arguments about song lyrics, they can actually provide you access to USEFUL information. Manufacturer’s do not keep their products a secret forever. There are frequent news updates about upcoming releases on fine technology websites like this one your on now. If a manufacturer is about to release their new line of widgets with 13% more power. It makes sense that last years model will be going on sale. Technology is a fickle mistress, your system will always be out of date, don’t just accept it, profit from the knowledge. Patience. Salesman love impatient people, so do product manufacturers. Be selective, and don’t let you impulse drive your purchases. 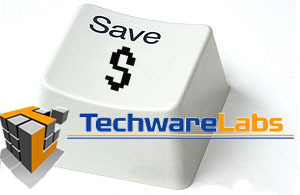 The longer you wait to pull the trigger on a computer purchase the more money you will save. There is no arguing with this. Scrutinize Everything. AMAZING DEALS bundled together to save you hundreds aren’t necessarily a good deal. As a rule, a retailer will not advertise a special that will not make them money. Even if one product is at huge discount you may be paying at or above standard price for the other products. You may be able to get a better bargain straying away from the ads all together. A higher product model doesn’t always mean better product. Obviously,make sure that it will do everything you need it to do. But equally important is to ensure that it isn’t excessive for your needs. The top of the line graphics card is certainly nice, but did you know you can get much better performance from two lower model cards working together? Saving Money doesn’t justify buying the cheapest parts on the market. Read reviews, read through the full specifications. Buying system critical components that bob put together in his basement, is counter productive when it starts a small marshmallow roast in your office. Looks are nowhere near everything. Your first computer case should be crappy, it will make you appreciate a pretty one later. Spend every cent you have on your components. When your components are where you want them, then go nuts. Take your time, Have fun with it. Planning the new build is almost as much fun as the joy of firing it up. Challenge yourself, see how low you can get the bottom line and still be able to play X game. This is not the cheapest system I could build, This is a very respectable rig that will play most games on decent settings. I could have easily gone with a cheaper three core processor, as well as a cheaper AM3 motherboard, but this system is at least partially future proof. Like I said, have fun with it, see what you can come up with. This graphics card is ideal for gamers, and it will boost your game play significantly. Even at full load a well rounded Core i3 system can be expected to use less than 150 watts, and in some cases much, much less. Quit The Windows and install Linux and you save $100, yo can buy better components with $100 extra!